What happened to my friends page? Clearly I have been away from LJ too long and they have changed things. Look, I'm a big subscriber to the idea that if a thing works already, why would you change it? 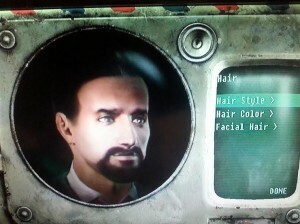 I'm playing it as an evil character because I already did a good playthrough. The bit I vividly remembered was the monster which ate pictures of flowers (and not actual flowers, because that would make sense). Subject: I'm just going to leave a link to this Doctor Who fan video here. The concept is to make a bunch of weapons that work as accessories for other toylines, like, say, Transformers (they use 5mm posts, which a lot of toylines use). The weapons can also be assembled into animals, so the two toys they're working on putting out are a manta ray that turns into an axe and gun, and a bear made up almost entirely of guns. The Kickstarter's only got three days to go, but I'm hoping it'll reach its target, cause it looks fun. The ASB advertisements with Brian Blessed won the Fair Go Worst Ad of the Year award. What?! How can that be?! It's BRIAN BLESSED! I can only assume the people of this country are all mad. Though to be fair there were pointers in that direction already. Subject: Who is this Brian Blessed fellow?! Apparently ASB Bank have replaced semi-controversial Goldstien in their advertising with BRIAN BLESSED. This is one mighty step up as far as I'm concerned. wait oh god who gave him a megaphone you fools!! Normally I can't stand adverts, but seriously, BRIAN BLESSED. Prime is playing the Doctor Who Christmas special on Boxing day, a mere 13 hours after it screens in the UK. That's pretty cool-I bet they'll get a boost in ratings. So accurate! I hope they do the other Transformers movies.